Delysées, Toronto’s premier French bakery, has just launched the Frozen Collection which includes mini frozen ice cream bars and our exclusive, one-of-a-kind gelato macaron with a whopping 3” diameter! 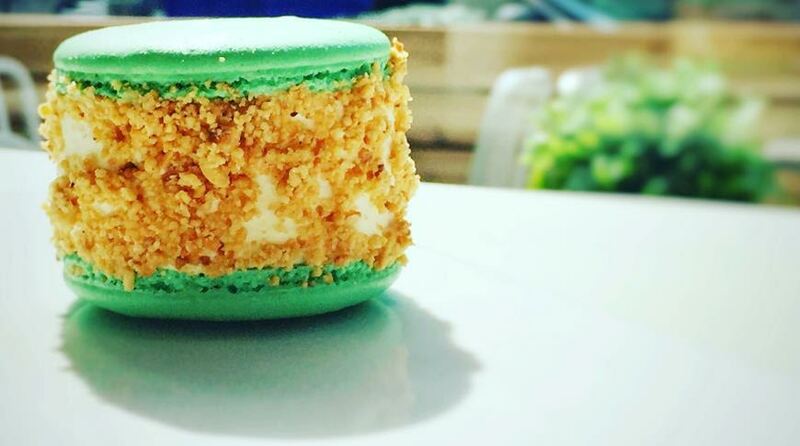 Featuring 14 different flavours including: Sea Salt Caramel, Madagascar Vanilla, Lindt Chocolate and many more, the gelato macaron is another Delysées creation that solidifies its stellar reputation for individuality and creativity. Since opening its doors in 2013, Delysées has become a downtown Toronto favourite, offering over 20 flavours of macarons & éclairs; a wide selection of mini-gourmet sandwiches; high-end French pastries; exotic cakes and exclusive individually sized desserts - all made fresh daily in Delysées’ state-of-the-art kitchen. Beyond the daily delicious café staples such as croissants, chocolates, and espresso drinks, Delysées is also continuing to expand its range of lavish bridal creations such as impressive macaron towers as well as other customized desserts and party favours. Delysées is located in the heart of Toronto’s King West community at 780 King St. West and is Toronto’s finest artisan bakery with the largest selection of macarons and éclairs in the city. Made to be visually stunning, opulent and delectable, all of Delysées’ creations are offered fresh daily from its striking all-white interior and impressive 44 foot display case, accommodating seats for nearly 50 people during patio season and accompanied by its industrial kitchen that boasts the finest Italian molds.